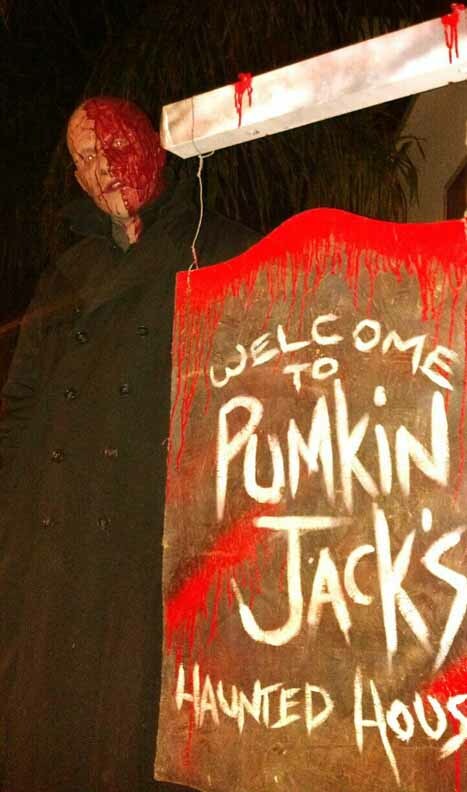 Pumkin Jack’s features a deadly combination of scare actors with perfectly themed music and lighting effects, inside a walk-through home haunt with the look and feel of a miniature professional attraction. Note: Hollywood Gothique's GPS insists that this address is located in Santa Clarita, not Saugus. Admission: Free; $15 fast pass per person available Halloween night only. Situated on a corner in a quiet Santa Clarita neighborhood, this Halloween home haunt features outdoor decorations and a walk-through maze inside the garage. There is some plastic tarp, but for the most part the construction effectively creates the illusion that you are inside a haunted house, and though short, the 600-foot labyrinth is impressively dense with scares, featuring eight haunted rooms.